According to the report, the aid included funds from the US and other countries. 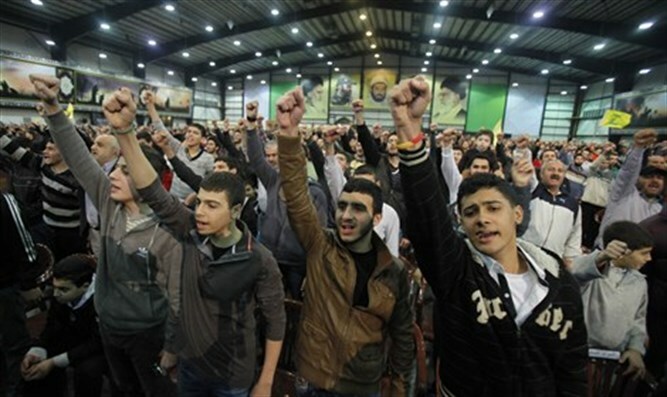 Hezbollah has created an independent economy within Lebanon, which includes instatutions, education, and businesses - from $600 million worth of Iranian aid, Saudi Arabian newspaper Al-Youm reported on April 25. As a result of US sanctions on Iran, the aid was transferred almost completely in hard cash, and is being used for the terror group's institutions and salaries paid to its terrorists and their families. Al-Youm reports that according to a Hezbollah deserter, Hezbollah circumvents legal channels by laundering money sent by the mafia to Lebanon. The article also mentioned several other places from which Hezbollah receives money. These include: millions of dollars in annual donations, received from Shiite businessmen abroad; charity taxes; profit from Shiite websites in Iraq; and money received from Shiite imams in Iraq and abroad. Sunni Saudi Arabia is considered to be Hezbollah and Iran's greatest enemies, and its official newspaper often reports against Iran and Hezbollah.